The History of Art and Architecture is a popular choice for visiting international students, who are welcomed to the department. 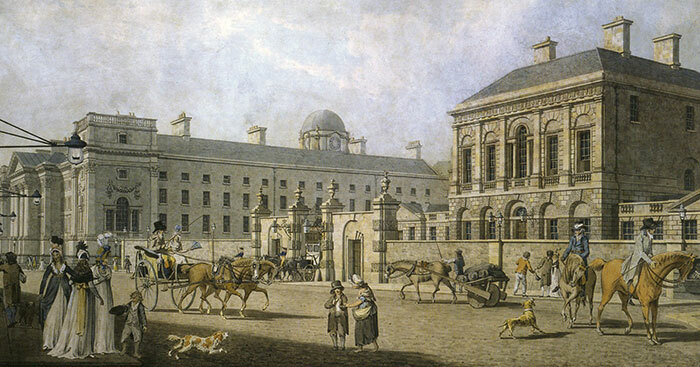 The location is ideal for studying art and architecture at first hand, with easy access to the resources of the University - the collections of paintings and sculpture, major manuscripts like the Book of Kells, the architecture spanning four centuries - as well as the national and city galleries, and streetscapes, all within a few minutes walk. Studying the History of Art and Architecture is a good way of learning more about the culture of other countries and there is range of exciting modules available to choose from, whether you are new to art history, or more advanced. Among the subjects available, students have the opportunity to explore the art and architecture of Ireland. Details of the options are outlined in History of Art and Architecture Handbook for Visiting Students, along with further information of relevance. For more information on how to come to Trinity College as a visiting student, visit the International Office website.